What could President Zardari have achieved by cancelling his trip besides scheduling photo-ops? Tired due to the prolonged special transmission on flood relief, I was trying to unwind in my office when a senior colleague came dancing to my chamber. “What is the good news?” I asked him thinking of some big accomplishment in relief efforts. “Someone has thrown a shoe at Zardari!” he exclaimed in joy. I was simply shocked. Here was a career journalist, otherwise supposed to be neutral, and tasked with overall responsibility of the office, absolutely radiant with joy, over an incident of national humiliation if not petty worth. I immediately switched my television on to learn more. The media was ecstatic. Most of the channels had forgotten the floods and relief efforts and were obsessed with the apocryphal piece of gossip which lacked even a shred of credible evidence. I surmised that the Islamic republic is back at what it does best: scapegoating. 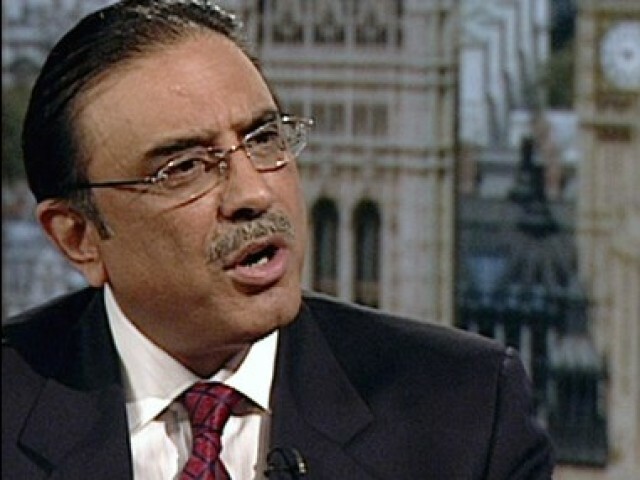 It is impossible for me to justify the foreign visit of President Zardari. I have little doubt that the time spent abroad could have been put to better use for the sake of morale boosting. But that’s that. Here is a state imploding in front of the burden of its innate contradictions, natural calamities and the sheer opportunism of the entire nation, and we are busy blaming one man. Again, I cannot digest the official claim that the president was oblivious to the scale and nature of the calamity. A head of state cannot hide behind the excuse of ignorance. If he didn’t know at first, he could have obtained information and cut short the visit to rush back to the country. Yet, I cannot deny either that we have this knack of undermining the scope of a tragedy or disaster, sidestepping the main issues and blaming one person for everything. Tell me what could the president have done? Even if he could ignore the fact that he was nothing but a titular head of the state after the eighteenth amendment? He could have gone to visit some flood affected areas. There our complaint would have been that the president was busy in photo-ops. And due to the mere photo ops the entire district management, otherwise entrusted with overseeing the relief effort, was busy in receiving and entertaining his person. So had he not gone abroad, our displeasure would have still been unaffected. (2) the presence of the current rulers. My question is simple. If the Almighty is so angry with the rulers why doesn’t he punish them directly rather than taking innocent lives? Or else the truth is that religion has nothing to do with our current state of affairs and incompetence and ineptness of state has more to do with everything. Had we not been so obscurantist we could have tolerated any form of government and tolerated enough to let the democratic institution building process take root. But no our zealotry will ensure that this government will go and so will the next and the next. And yet we will never find solutions to our plight. The real stakeholders were the democratically elected chief executives of the federation and the federating units and the army chief being the uncrowned king of the country. But you will never hear any intellectual or media person complaining about the army chief’s visit to the UAE in this hour of national catastrophe and devastation. The fact of the matter is that instead of assuming the responsibilities of a nation state, we as a nation want to be a pan Islamic global movement which exports terrorism as a cause. Had our focus been nation and institution building believe me our troubles would have been over already. But we are more focused on supporting the Taliban than actually building bridges and dams (is Kalabagh the only dam that can be built?). This streak of obscurantism translates in our security doctrine as well and somehow we fail to put an end to the blackmail of the terrorists. To me, anyone who believes that he has a right to coerce me into doing anything represents the Taliban. Till the time we do not finish such people, statements will come from foreign leaders. If you want to know our exact moral fiber, you should go to bazaar in the flood affected areas or even during Ramazan check out the prices being charged staple food. Only then will you understand our double standards and moral decay. And till the time these issues are resolved, removing Zardari, Gilani, Shahbaz Sharif or any other leader will resolve nothing. A mere incident of shoe throwing can never change our destiny. indeed he got lesson from his own worker realised him that you are not required to make fake statements regarding abrupt change in lives of people in shape of visits, but required to be in home. This is very well written peice and has correctly pointed out reasons behind Zardari Bashing by right wing obscurantist organs led by Urdu Media with covert support from establishment. Why isn’t our govt looking into the matter to see whether the prices are raised because of more demand or because some people are using this opportunity to make huge profits for themselves. Why don’t we have laws in place which look into these matters and protect the public from such unethical practices? As far as democracy is concerned much more drastic action is needed in Pakistan. I agree with Shayn. We can be the ‘nay sayers’ and say nothing else has worked, let’s give the ‘devil’ a chance. well the devil has had his chance and to what result? Mr.Zardari’s trip was paid for by the tax payers money. It seems to not matter that he used this money to pay for his hotel expenses , travel expenses, security plus public money is spent on board and lodging of his vast entourage. We live on borrowed funds can we please not forget this and put them to better use. Yes a hurled shoe might not change anything but history will always remember that a president partying over burnt cities, death of drowned and gloom of billions IDPs received a shoe. It’s not a humiliation. This is what he deserved. I totally agree, Zardari is of no use, whether he’s in Pakistan or outside. Only a human would have stayed in Pakistan and motivated his party workers to help people; devised plans for relief; monitored rescue operations etc; Not Zardari. What if God were to follow these floods with years of drought? You are probably right in what you say. We need to be pro active and work to create a country we can truly be proud of .